Marc talks about some of what happened on this day in history, including the day Jefferson Davis was selected as provisional President of the Confederate States of the America, the day the Civil Rights Act of 1964 passed the U.S. House of Representatives, and the birthday of Civil rights activist and politician Grace Towns Hamilton. 1763 – French and Indian War: The 1763 Treaty of Paris ends the war and France cedes Quebec to Great Britain.1846 – First Anglo-Sikh War: Battle of Sobraon – British defeat Sikhs in final battle of the war1861 – Jefferson Davis is notified by telegraph that he has been chosen as provisional President of the Confederate States of America.1870 – The YWCA is founded in New York City.1940 – The Soviet Union begins mass deportations of Polish citizens from occupied eastern Poland to Siberia. 1942 – The first gold record is presented to Glenn Miller for “Chattanooga Choo Choo”.1954 – President Dwight Eisenhower warns against United States intervention in Vietnam. 1967, The Beatles recorded the orchestral build-up for the middle and end of ‘A Day in the Life’. At the Beatles’ request, the orchestra members arrived in full evening dress along with novelty items. One violinist wore a red clown’s nose, while another, a fake gorilla’s paw on his bow hand. Others were wearing funny hats and other assorted novelties. The recording was filmed for a possible ‘Sgt. Pepper’s Lonely Hearts Club Band’ television special which was ultimately abandoned. Mick Jagger, Keith Richards, Mike Nesmith from The Monkees and Donovan also attended the session. 1907 – Civil rights activist and politician Grace Towns Hamilton was born in Atlanta, Georgia. She received her undergraduate degree from hometown Atlanta University, before completing her master’s degree at Ohio State Univesity. She held teaching positions at the Atlanta School of Social Work, Clark College, and LeMoyne College in Memphis, while maintaining an active interest in the civil rights movement. Hamilton served as executive director of the Atlanta Urban League from 1943-1960, and also sat on the board of the Southern Regional Council and the Governor’s Commission on the Status of Women, as well as many other voluntary positions. But she made her most lasting mark by becoming the first African-American woman elected to the Georgia General Assembly in 1965. 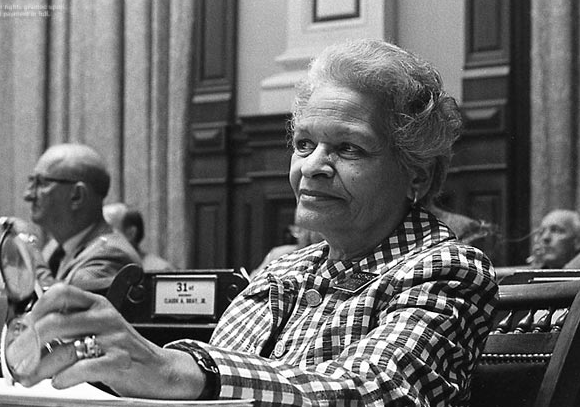 She served in Georgia House of Representatives until 1984. Today, a chair in the Emory University political science department is named in her honor. 2006, American record producer and MC James Dewitt Yancey, (A.K.A. J Dilla or Jay Dee), died of a rare blood disease, at his home in Los Angeles, California. Yancey had toured Europe in 2005 performing from a wheelchair.